Yet again I found a Radica Plug n Play system, but this one is different in 2 respects. Firstly this one is a dedicated system, as it only has OutRun 2019 built in, as where the previous two had six games each. 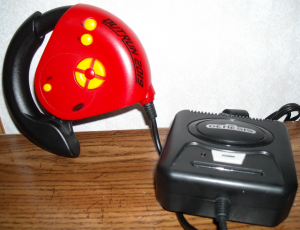 Secondly, and most notably, instead of a normal Genesis controller this one offers a pseudo steering wheel. The system looks the same, but that controller is WILD! Now I said pseudo steering wheel because from the look and feel of it one may assume the wheel is analog, but once I took the controller apart I found it only has 2 contact points, making essentially a two direction D-Pad. Another issue with the controller is that in the heat of racing and trying to keep your car on the track, the wheel portion feels weak and I often found myself letting off to avoid breaking the controller, leading my car off track and losing valuable time. 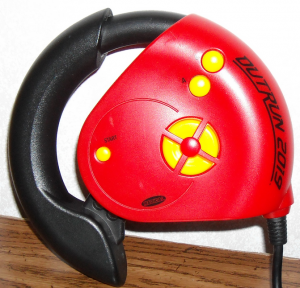 However, you don’t need to use the wheel part to steer as you can use the D-pad on the face of the controller, but its too cramped to be comfortable, let alone any real use, subconsciously forcing your hand back to the wheel. The C button is on the back, for some reason. 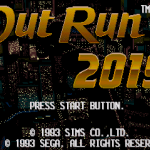 Stepping away from the controller and onto the game, OutRun 2019 is a fun game, albeit a bit removed from the rest of the series. 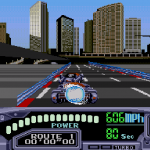 OutRun 2019 was developed by a completely different company, but still published by Sega. 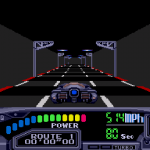 Despite that you can expect pretty much the same experience as any other OutRun game. 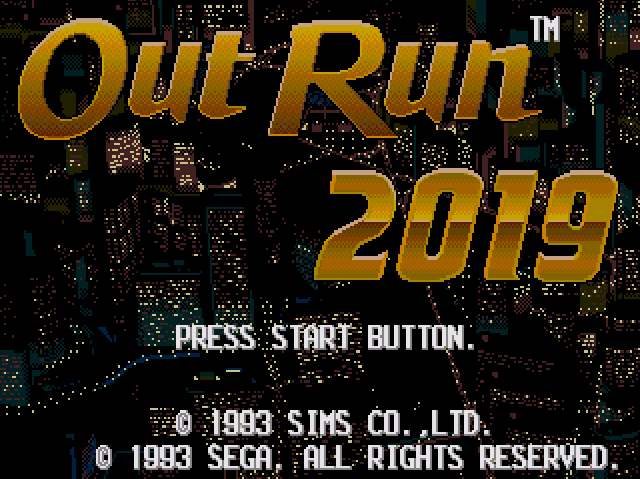 OutRun 2019 is, obviously trying to be, a futuristic version of OutRun, in which you race through the course trying to beat the clock. My only problem with this is that the cars look slightly futuristic but the tracks and environments all seem to be modern day. 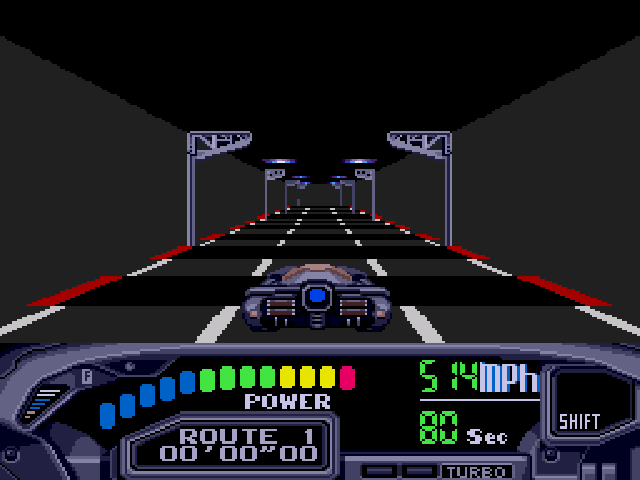 Other than this slight oversight, again, the game plays just as the same as any other OutRun. You still pick which direction you want to go to complete the course, but this time there are roads with two tiers, causing you to be more cautious as to not fly off the track. Also something new is if you max out your speed for a certain period of time you will receive an automatic turbo boost. This is pretty neat, but usually speeds the car up too much causing me to let off the gas within seconds to take a turn, really rendering this feature useless. 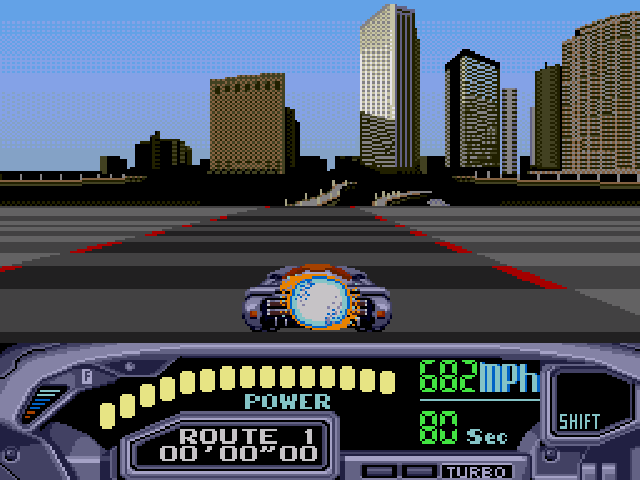 I have noticed OutRun 2019 seems to be a bit more forgiving in the wrecking department. 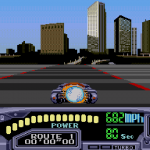 Almost anything in OutRun that would send your car flying off the track, causing you to wait for it to recover, seem to merely cause your car in OutRun 2019 to spin around, quickly recovering and back on track with minimal interruption. 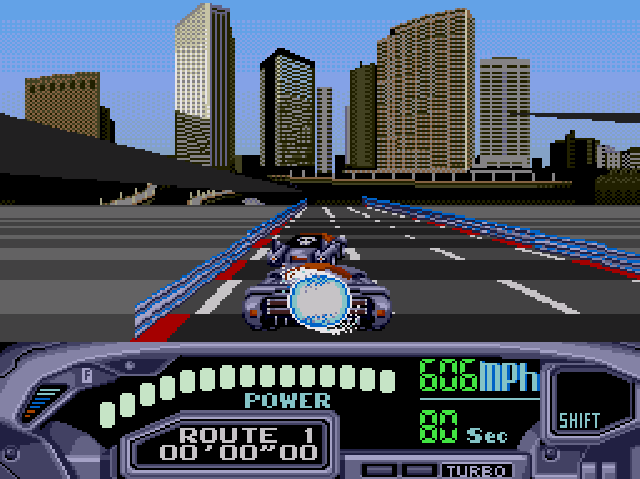 Although the game handles much the same as OutRun, I can’t really connect with it as much as I do the other games in the series I’ve played.